A look into the life and work of controversial French novelist Irène Némirovsky, who had a successful writing career in the 1930s before being deported in 1942 and dying in Auschwitz. ...a personal, poignant, and perceptive account ... The author handles this complicated subject — which has created a cottage industry among academics and fueled very public debates — with lightly worn erudition and deeply felt compassion ... With her own knack for nuance, Suleiman captures the quality that sets Némirovsky apart, despite or perhaps because of her flaws: as a writer, she is attachant. We read and treasure her — we are attached to her — because, at her best, she brilliantly conveys the entangled state of our ties with others and with our own selves. ...[a] measured, compelling new book ... Rather than bluntly judge, Ms. Suleiman makes us see Némirovsky as a gifted woman situated in a particular historical epoch, carefully analyzing her writings as a product of those times, and clarifying, without excusing, Némirovsky’s most discomforting passages ... There is no denying that Némirovsky closed her eyes to the hateful articles that ran alongside her stories in Nazi-leaning publications. At the same time, Ms. Suleiman points out, as a writer desperate to support her family, as time went on these were the only outlets available that still allowed her, going against rules banning Jewish authors, to nonetheless write for them under a pseudonym. 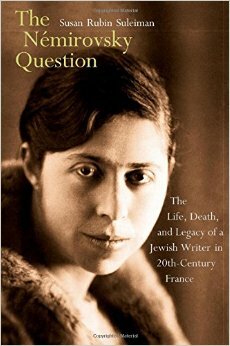 What did you think of The Némirovsky Question: The Life, Death, and Legacy of a Jewish Writer in Twentieth-Century France?